Bishop Donal McKeown of theNorthern Ireland Commission for Catholic Education and former headmaster of St Malacy’s College, Belfast appeared on The Sunday Politics Show on February 19th, 2010. The commission on Catholic education has already said the practice should not continue after 2012. During the interview with Tara Mills of the BBC the Bishop reinforced the Catholic Trustees intention to end academic selection to grammar schools despite a failure to deliver this objective by 2012, as promised. 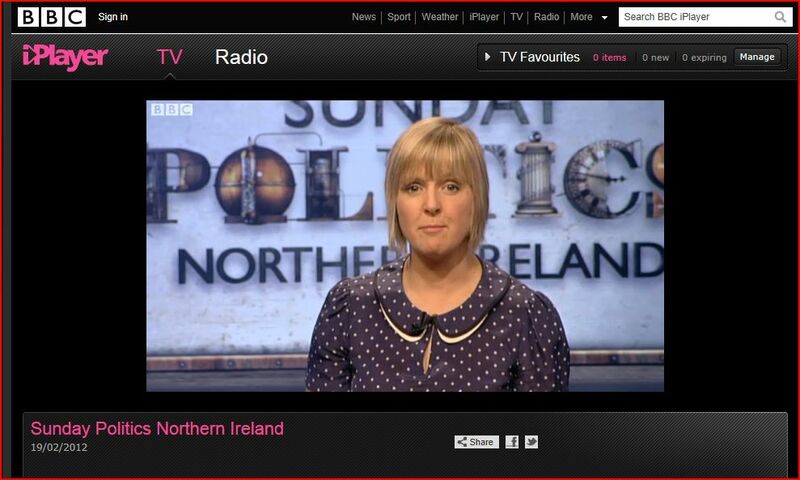 http://www.bbc.co.uk/i/b01c2tlp/ Watch from 31 mins and listen to how Bishop McKeown expresses his concern for the schools of North Belfast. Then check out the table of results at GCSE for the grammar and secondary school in the area. “Catholic schools have been forced to move ahead with plans to radically reform the post-primary system across Northern Ireland because of the political vacuum at Stormont. Bishop McKeown also said action must be taken to improve the education system here, which currently does exceptionally well for a minority but “terribly badly for others”. Exactly how terribly bad did Donal mean? The results in the table below compare differences between those pupils obtaining GCSEs without English & Maths and those pupils obtaining GCSEs including English & Maths and provide evidence of the deception. The Entitlement Framework is a deception practiced on young pupils, many of whom are disadvantaged. The deception sold by teachers and schools pretends that the qualifications obtained from a wide range subject choices have an equivalent value or merit. The reality is very different. Bishop McKeown is Auxiliary Bishop of Down and Connor and Chair of the Northern Ireland Commission for Catholic Education. NICCE represents the Trustees of all primary and secondary Catholic schools in Northern Ireland. Catholic schools, grammar and secondary have average enrolment of over 99% Catholics. Read the table below very carefully when making decisions about which school to enrol your child. Data obtained through a Freedom of Information request of the Department of Education.